With over 20 years’ experience of leadership development, business strategy and technology evangelism, Clare helps organisations maximise the opportunities presented by the latest trends in technology, from AI to Virtual Reality. Passionate about how technology is changing and shaping the world we live and work in, she regularly speaks on topics related to digital transformation and organisational change. Clare was a key member of the Microsoft Ireland Leadership Team for 8 years as Microsoft transformed from a software product to a cloud services organisation, giving her first-hand experience of leading through times of change. Heading up the Developer Experience and Evangelism team, she was focused on establishing partnerships with SaaS companies to drive their success on the Microsoft platform, from both a technical and business perspective. 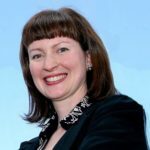 She has also served on the board of the National Digital Research Centre, the Irish Internet Association and on the Industry Guidance Board of IC4.